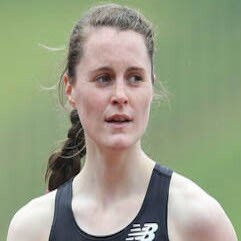 Ciara born 12 March 1992 is an Irish middle-distance runner. The UCD physiotherapy student has won silver medals at the World Youth 2009 and the Junior 2010 championships. Ciara won a bronze medal competing in the 1500m event in the 2016 Europeans Athletics Championship. After qualifying for the 2016 Rio Olympics and reaching the Semi Final she narrowly missed out of chances in the final finishing in 11th place. Ciara set a new PB in 2016 post Olympics of 4:01:46 in the 1500m event which makes her second on the all-time Irish list behind Sonia O'Sullivan's national mark of 3:58.85 set in Monaco in 1995.